Kouvola is a town and municipality in southeastern Finland. 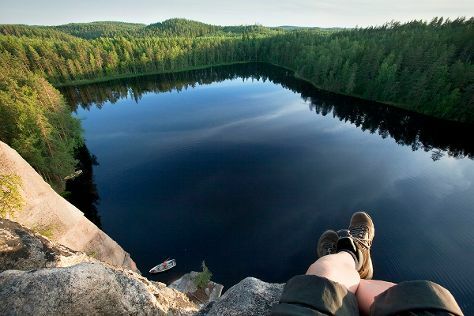 Start off your visit on the 7th (Sun): explore the wealth of natural beauty at Repovesi National Park. On your second day here, take an in-depth tour of World Heritage Site - Verla Groundwood and Board Mill, look for all kinds of wild species at Hevoshaan Arboretum, and then take a peaceful walk through Niivermaki Nature Conservation Area. To see maps, traveler tips, photos, and tourist information, read Kouvola route maker site . Helsinki to Kouvola is an approximately 1.5-hour train ride. You can also drive; or take a bus. In April, daytime highs in Kouvola are 8°C, while nighttime lows are 0°C. Cap off your sightseeing on the 8th (Mon) early enough to catch the train to Lappeenranta. 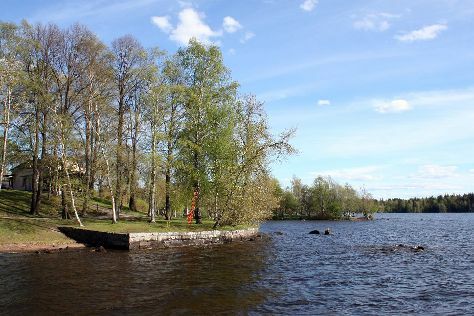 Kick off your visit on the 9th (Tue): contemplate the waterfront views at Saimaa Canal, examine the collection at Lappeenranta Fortress, then make a trip to Sandcastle Lappeenranta, and finally contemplate in the serene atmosphere at Lappeen Marian kirkko. To find more things to do, reviews, and tourist information, use the Lappeenranta road trip planning website . Take a train from Kouvola to Lappeenranta in an hour. Alternatively, you can drive; or take a bus. In April, daytime highs in Lappeenranta are 8°C, while nighttime lows are -1°C. Wrap up your sightseeing on the 9th (Tue) early enough to drive to Savonlinna. Start off your visit on the 10th (Wed): pause for some photo ops at Olavinlinnan Musta Passi, examine the collection at Savonlinna Provincial Museum, step into the grandiose world of Olavinlinna Castle, make a trip to Pikkukirkko, then browse the fresh offerings at Savonlinna Market Square, and finally explore the historical opulence of Savonlinna Cathedral. To find ratings, traveler tips, more things to do, and more tourist information, read Savonlinna tour planner . Getting from Lappeenranta to Savonlinna by car takes about 2.5 hours. Other options: take a train; or take a bus. In April, plan for daily highs up to 7°C, and evening lows to -2°C. Finish up your sightseeing early on the 10th (Wed) so you can go by car to Tampere. Visit Tampere Cathedral and Amuri Museum of Workers' Housing for their historical value. Take a break from the city and head to Hatanpaa Arboretum and Duck Park (Sorsapuisto). see Sarkanniemi Theme Park. 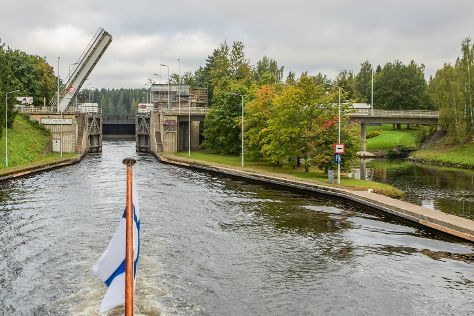 Next up on the itinerary: see the interesting displays at Vapriikin Museokeskus, tour the pleasant surroundings at Rauhaniemi Beach, enjoy breathtaking views from Pyynikki Park and Observation Tower, and test your team's savvy at popular escape rooms. To see maps, ratings, reviews, and tourist information, read our Tampere day trip app . Traveling by car from Savonlinna to Tampere takes 5 hours. Alternatively, you can do a combination of flight and train; or do a combination of bus and train. In April in Tampere, expect temperatures between 8°C during the day and -1°C at night. Wrap up your sightseeing on the 13th (Sat) to allow time to take a train back home.